DRDO STA B Recruitment 2018 Notification PDF : Hello friends welcome to our website examad.com Here you will get all latest updates about government jobs and competitive exams. In this article we have provided all details of DRDO CEPTAM 9 with link for DRDO STA B Recruitment 2018 Notification PDF download. All details from that notification are also provided below. 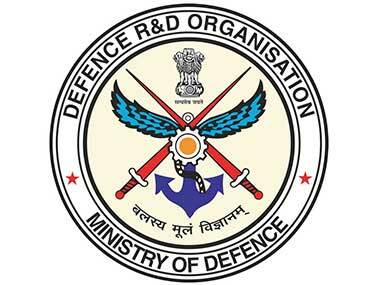 Defense Research and Development Organisation DRDO has released notification for DRDO STA B Recruitment 2018. There are total 494 vacancies for Senior Technical Assistant B Post. So if you are looking for opportunity to work in government jobs in Indian Defense then this may be the best chance. All details of this DRDO CEPTAM 9 like, DRDO STA B Recruitment 2018 Notification PDF, vacancy details, eligibility, syllabus, selection process, exam pattern, application process is given below. Last date to apply is 29 August 2018. These vacancies are for different disciplines or subjects like agriculture, Automobile Engineering, Botany, Chemical Engineering, Chemistry, Civil Engineering, Computer Science, Electronics and communication Engineering, Geology, Instrumentation, library science, mechanical Engineering Mathematics, metallurgy, physics etc. To check subject wise vacancies, please download DRDO STA B Recruitment 2018 notification pdf. For Engineering Subjects / discipline candidate must have completed 3 years of Diploma in respective subject. For other subjects candidates must have Bachelor’s in Science i.e B.Sc Degree in respective subject. Candidate’s age limit must be between 18-28 years. Age relaxation is applicable for reserved cast as per government rule. For more details about eligibility download DRDO STA B Recruitment 2018 Notification pdf. Selection process consist of two exams tier 1 and tier 2. Candidate who score well in tier 1 exam will be shortlisted and called for tier 2 exam. Both exams will be computer based and objective type. Final selection of candidate is based on performance in Tier 2 exam. Total 150 marks for 150 questions, time – 120 minutes. Total 100 marks for 100 questions, time – 90 minutes. Applications received by any other mode will be summarily rejected. B) The online application portal will be opened on 04 August 2018 and closed on 29 August 2018 (05:00 PM). After that fill application form, Pay by online mode and submit application. For more details download Official notification here.